When directors Phil Lord and Chris Miller left the Han Solo movie due to “creative differences,” we could all read between the lines. Something had gone terribly, terribly, wrong. The “creative differences” euphemism has been used so often that it’s now taking on the negative connotation it was initially meant to obscure. You hear it and probably think, fired, or, blowout fight. And one of those might be true. While this is a nice catch-all that doesn’t throw anyone under the bus, I think we need to change our approach to the differences. Creative differences don’t have to equal creative divorce. In fact, a lot of times they end up making the work better than you thought it could be, if you know how to navigate it correctly. 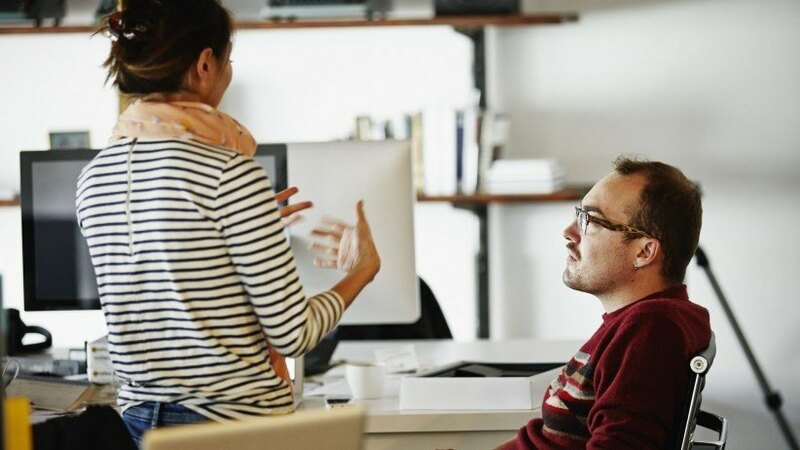 Here are four ways of overcoming -- or preventing -- creative differences without things getting too messy. Obviously, you should set clear expectations before starting any project. Make a brief, put your thoughts and vision on paper, and then walk through it with whomever will be executing the project. In other words, make sure you’re all on the same page. The problem -- as anyone who’s ever made anything with somebody else knows -- is two people can hear the exact same words, yet walk away with two completely different understandings of what’s going on. You want to make something funny? Well, “Coen Brothers funny” is on a different planet than “Farrelly Brothers funny.” You want something “upbeat” and “poppy”? You’re going to get as many interpretations of that as there are songs on Top 40 radio. What I’ve learned is you have to be painstakingly, microscopically specific in your descriptions. You have to pile adjectives on top of adjectives. You have to use examples and draw comparisons when tossing around ideas. It can add to the timeline on the front end, but it helps everyone catch the same vision and can avoid a lot of headaches later. Don’t assume people know what you mean, and don’t assume you know what they mean. You probably don’t. Get granular. It’s all too easy for everyone to be on the same page of completely different books. If you do run into creative differences on a project, congratulations! You’re working on a creative project with creative people. There aren’t schematics for these things. There’s only a rough map. And it’s not even a road map. It’s more like a treasure map with a few landmarks and a dotted line. Don’t panic. The worst thing you can do is freak out. If you start to feel a divide growing between creative visions, revisit the goals of the piece: What’s the point of it? What is it trying tocommunicate? What does success look like? It’s possible the piece is simply veering off in a better direction, which would be easy to miss if you’re too attached to your original idea instead of keeping in mind the original goal. In the end, everyone should be serving the project, not their own vision. So, get objective. Focus on objectives. And make decisions that push everything closer to the ultimate goal. Just like it was important to get everyone on the same page before the project started, it’s important to keep everyone on the same page as it progresses. And especially if it starts heading in an unexpected direction. This doesn’t have to feel like a confrontation. It can start as a series of questions. Ask them why they are making the decisions they’re making. Ask them how these decisions will help the project achieve its goals. Give them a chance to persuade you to see things their way, and they’ll be much more open to seeing things your way as well. Humility goes a long way toward reconciling creative differences and preventing things from grinding to a halt. Or worse, exploding. Cinema great Werner Herzog says, “Chance is the lifeblood of cinema.” If you tie people’s hands, don’t be surprised when the work comes back flat. Remember, there is a reason you hired these people: because they are themselves, and you liked their work. Give them some space.Give them the benefit of the doubt. See if you can work out a way for them to try out their ideas without risking the original vision. Or consider changing your original vision and trusting the artist to be the artist. Like Elvis sang: “We can’t build our dreams / on suspicious minds.” If you’re confident everyone understands the goals of the project, and if you’re confident in the team’s ability to execute, then your best bet might be to loosen the reins and see where your horse takes you. Horses are smart. They know how to find water.